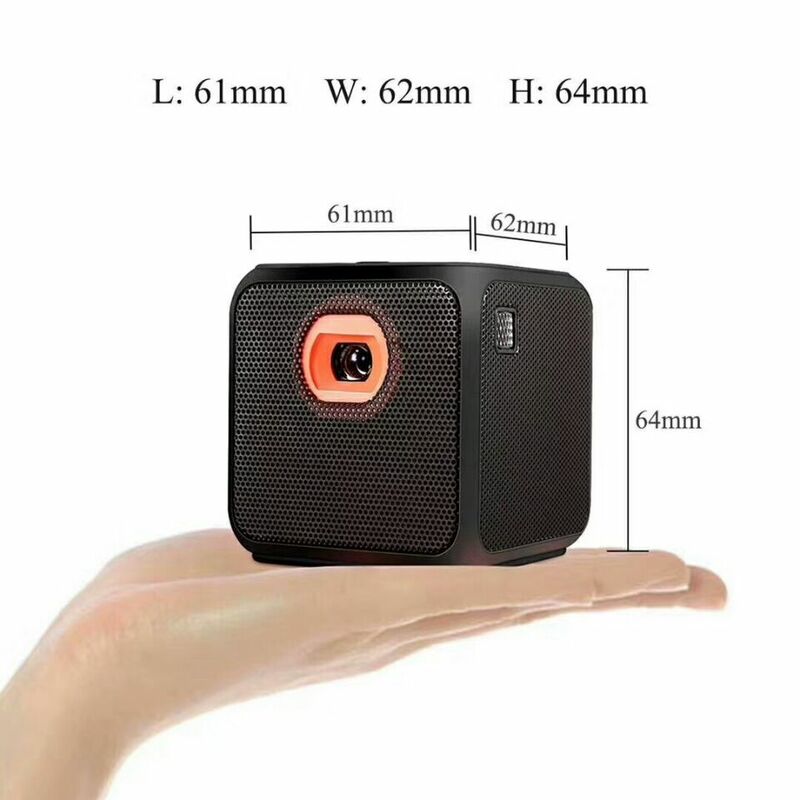 Successfully Added M5 Smart Mini Projector - 60 Lumen, Android 7.1 OS, 100 Inch Projections, Wi-Fi, Micro SD, Quad Core CPU, 5000mAh Battery to your Shopping Cart. This smart mini projector has built-in Wi-Fi and Bluetooth as well as an Android OS so you can surf the web and stream content, play games and do presentations. The compact design means this mini projector is a 12cm cube so you can easily transport it in a pocket wherever you go. Great for surprise presentations or keeping the kids entertained when away. A native resolution of 854x480 is fairly respectable from such a compact device and with 60 lumens its bright enough for presentations or movies in a darkened room. The focus can be manually changed on the side while the top of the projector has touch button controls if you don't want to use the remote. You can even mount this projector on the included tripod for quick easy setup and adjustments. This projector has a nice easy to navigate Android 7.1 user interface that resembles that of an Android TV box. This makes navigation between apps and settings easy with the remote but you can also add a Bluetooth or wireless mouse or keyboard via a USB dongle or the built-in Bluetooth support. The quad-core CPU and 1GB RAM is more than enough to offer a smooth experience whether streaming content or playing from internal or external memory options. With a built-in speaker you will have good audio clarity but if you want better audio quality you can add speakers through the 3.5mm headphone jack. The H5 smart mini projector comes with 12 months warranty, brought to you by the leader in electronic devices as well as wholesale pocket projectors and audio-visual gadgets..